It doesn't get any closer to a realistic Las Vegas experience than this! Multiplayer Roulette puts you at the exact same Roulette table as other players from all over the globe. Forget about playing at a lonely, empty Roulette table. Now you can place your bets alongside other pro and amateur Roulette players who are all after the same big fortune. It's just like playing in a big Las Vegas casino. The only thing missing is a cocktail waitress. But who needs alcohol when your adrenaline is pumping from the kind of unrivaled excitement you just can't top? 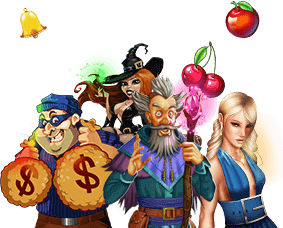 Join a table now and be a part of the friendliest, most thrilling casino game yet! Start Playing Multiplayer Roulette Now! When you sit down to play American Roulette for free, you'll notice two major components—a board and a wheel. You can think of these as part 1 and part 2. Part 1 involves betting on the board. You want to put your chips on the number, combination of numbers, or color that you think will come up after the Roulette wheel (part 2) finishes spinning. Select your avatar. Every single player who sits down to enjoy Multiplayer Roulette gets to choose an avatar. It's an amazing way to simulate a real-life Las Vegas Roulette experience. Once you're at the table, go ahead and place your bets by clicking on the chips you're like to place on the felt. You can bet on evens/odds (called pair/impair), specific numbers, or a grouping of numbers. Don't like what you've bet? You've got until the timer runs out to change your mind. Once the clock hits zero, the wheel spins and no more bets are accepted. When the wheel stops and a ball lands on a number, all bets are paid out according to the Roulette paytable. Remember, hitting individual numbers pays out way more than hitting groups of numbers. By a rule of thumb, the more numbers in your bet, the lower the payout. That's why colors and evens/odds yields the lowest payout in Roulette (since your odds of hitting a winning number is as close to 50/50 as you can possibly get. The best part about playing online Roulette with others is that you don't have to develop your own strategy to start feeling like a Roulette strategy champion. We could go on and on with so-called winning Roulette strategies, but it's way better when it comes from the horse's mouth. So instead of listening to us, hit a Multiplayer Roulette table and pay attention to how others are playing. If you see someone making big gains, start copying their bets. And feel free to chat with them through the Multiplayer Roulette chat feature. They could have a winning Roulette strategy secret worth sharing. Multiplayer Roulette at Slots of Vegas is an amazing Roulette experience. But if you're used to playing Roulette with other players in Vegas, you're in for a big surprise at Slots of Vegas. Instead of the traditional American Roulette tables you might be used to, Multiplayer Roulette at Slots of Vegas uses the French Roulette variation. That means you'll only find a single zero. We've eliminated the double zero to give you more of an edge. You'll also find a slightly modified table layout. But don't worry, our glossary below will help make sense of it all. Pair—No, you're not betting on pairs. This isn't poker. Pair is the French word for evens. Remember, Multiplayer Roulette is based on French Roulette, so our glossary features a lot of French terminology. Impair—Nothing to do with drinking too much alcohol (remember, there's no cocktail waitress at our online casino). Impair is the French word for odds. Manque—In Roulette, you can bet on the first 18 numbers or the second 18 numbers. Use Manque to bet on number 1 through 18, as a group. Passe—If you think number 19 through 36 are more likely to hit, put your money on Passe. P, M, D—The first thing you'll notice when looking at a Multiplayer Roulette board is that, at first glance, it seems like you can't bet on the first, second, or third dozen numbers as a group. Again, that's not the case. French Roulette features three separate squares—P, M, and D. Use these squares to bet on the first dozen (1-12), second dozen (13-24) and third dozen (25-36) numbers.